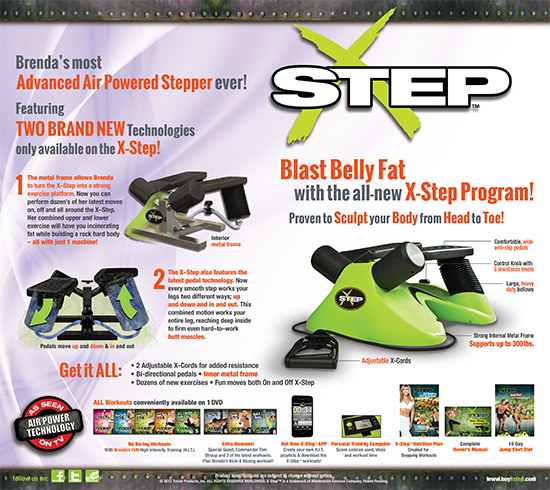 The X-Step™ has a strong Metal inner Frame, plus Pedals that move both up and down and in and out. Add our Air Powered technology with Brenda’s H.I.T. Workouts and you have one of the hottest products in the market today!